I had a chance to revisit this painting, and I heavily revised it. Among the changes I made was strong lighting, as well as reworking the environment significantly to give it much more depth. Overall I'm very satisfied with how this piece turned out, and I consider it one of my strongest works. I created this image in order to practice painting drapery, which I view as a challenge. Greek Mythology inspires me heavily as well, so I wanted to show that with this image. Persephone's story mainly evolves her abduction from the Earth realm, to the Underworld, courtesy of Hades. This image deals with that concept (albeit a bit subtly). 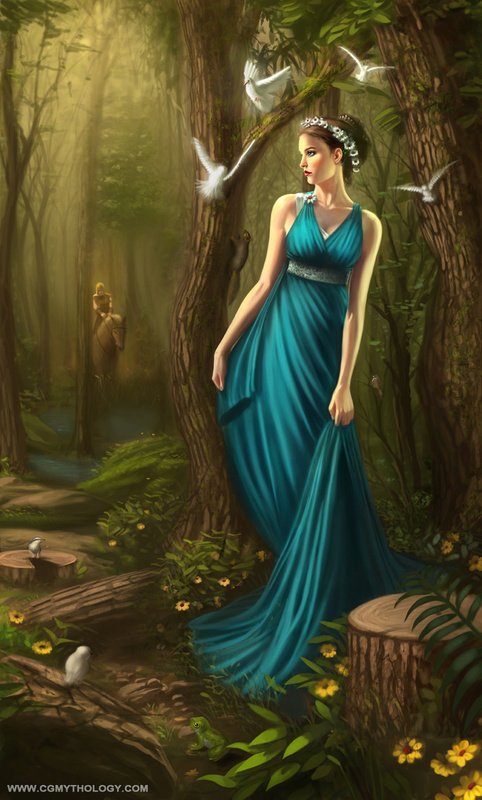 The figure's pose was referenced from Lockstock as well, who has some great fantasy themed stock photography.